If you are wondering how an online yoga video website works watch our short video to find out. In this video, I’ll take you through how simple it is to do online yoga videos at home. For more goodness like this delivered right to your inbox, sign up here! Embrace the power of self – care and creativity through our monthly newsletters. Receive high quality, up to date, lovingly sourced and created resources & information, in one handy place, into your Inbox. 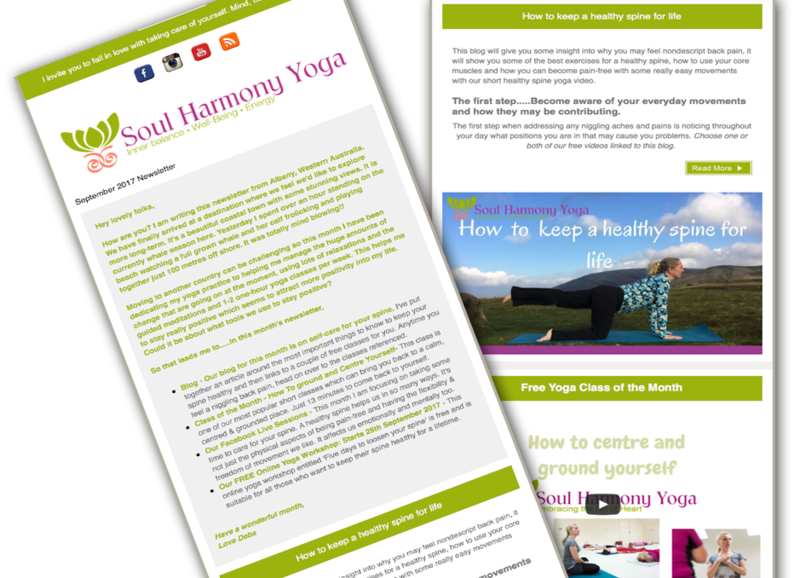 Our newsletters include our latest news, blogs, videos and inspiring articles on yoga, relaxation, meditation and holistic health. Receive your timely reminder to prioritise your self-care and creativity. Be inspired to make small steps which bring about big changes. Receive our lovingly put together bundle of 4 yoga, relaxation and meditation lessons and get your home yoga practice started today.